I have a fantastic collection for you all today! 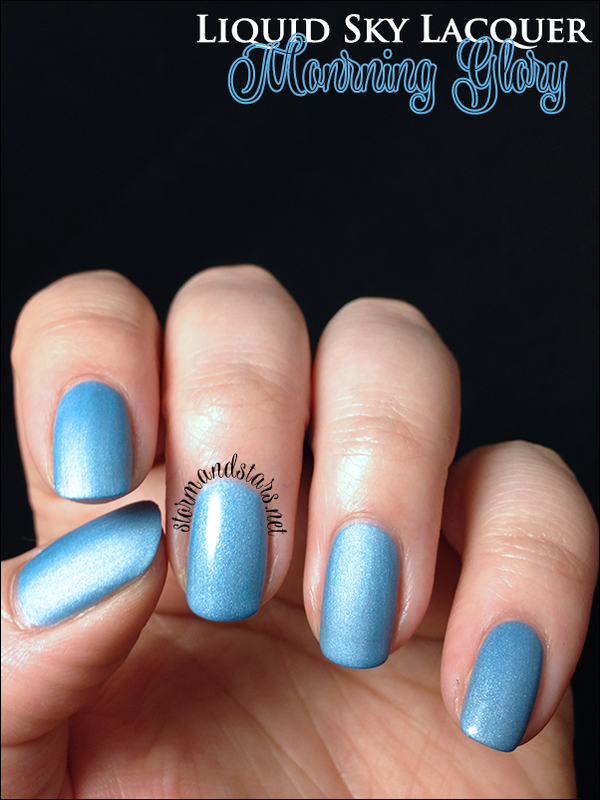 I always love doing a review for Carolyn over at Liquid Sky Lacquer because her polish is always beautiful and the formulas are always superb. This collection is no exception to that rule. The Spring Garden Collection consists of five matte finish pastel shimmer lacquers. I am IN LOVE with every one of them. They dry to a gorgeous matte finish naturally and you can add a topcoat for some shine and to give them a bit of a different look. 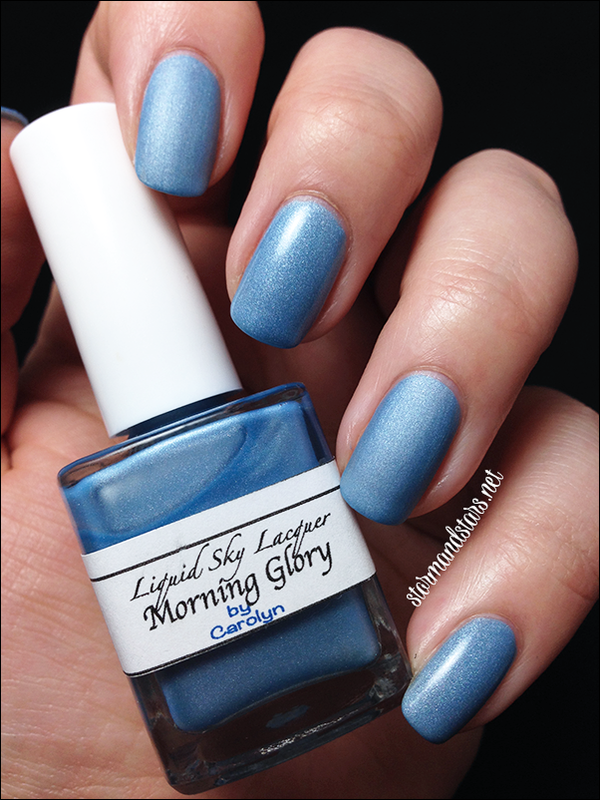 I want to say I'm going to show you one of my favorites first, but I really love them all so I'll just say here is the blue lacquer, Morning Glory. 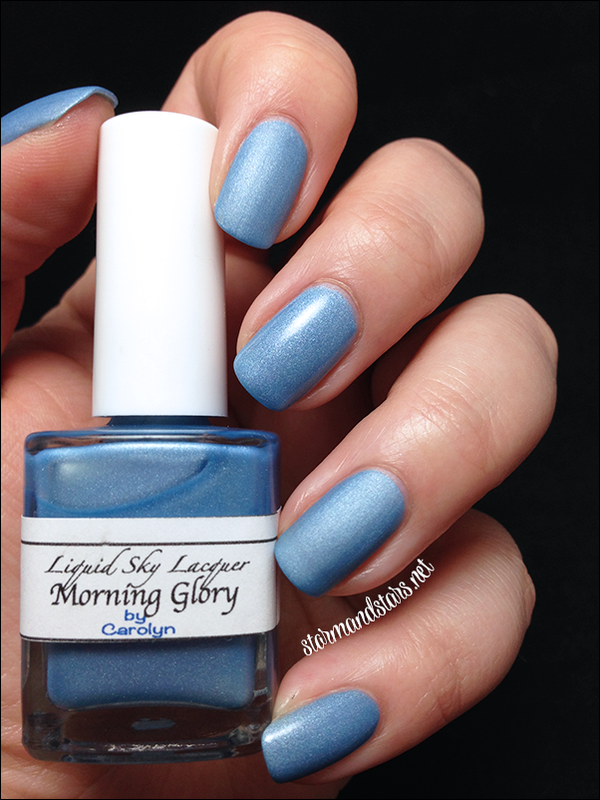 Morning Glory is a beautiful bright baby blue shimmer with a perfectly smooth frosty matte finish when dry. 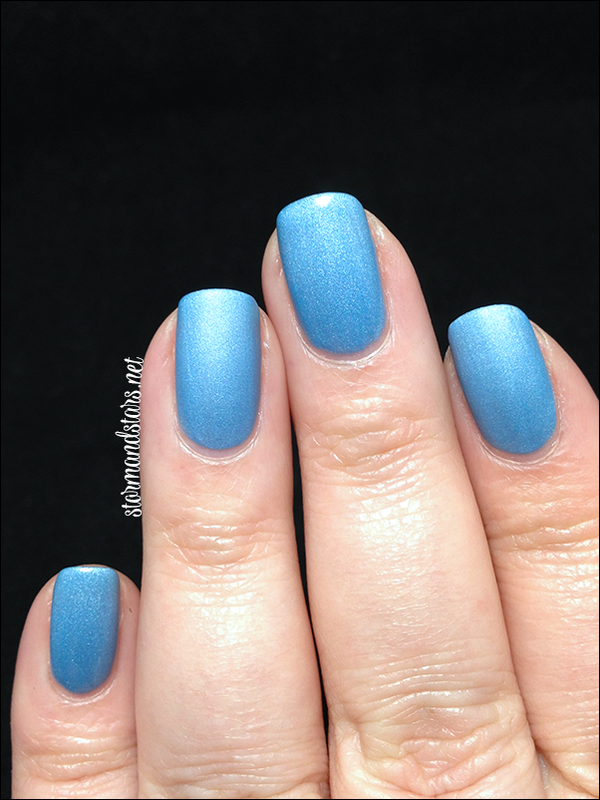 I used 2 coats of Morning Glory over my Cult Nails Get It On base coat. The formula was beautiful. 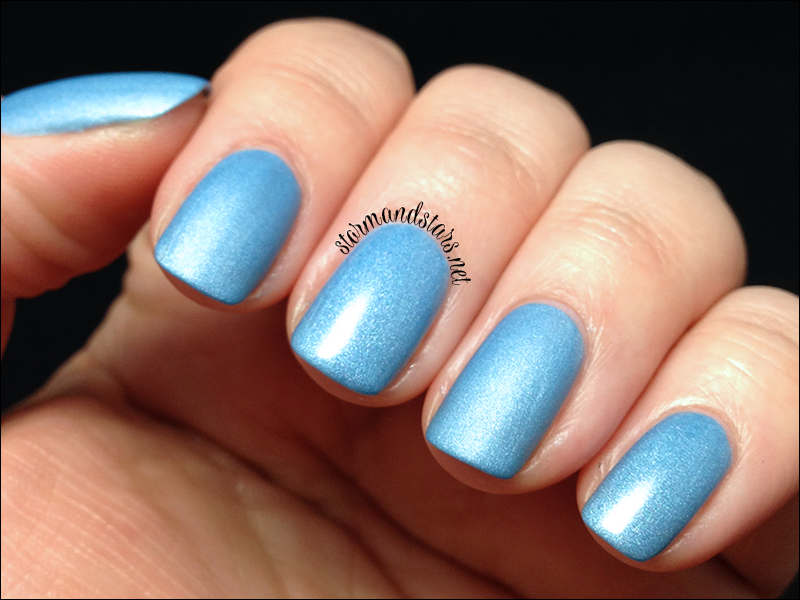 I added Seche Vite topcoat to my ring and pinkie nails to show you what the polish looks like shiny, and my thumb, index and ring fingers are without any topcoat. 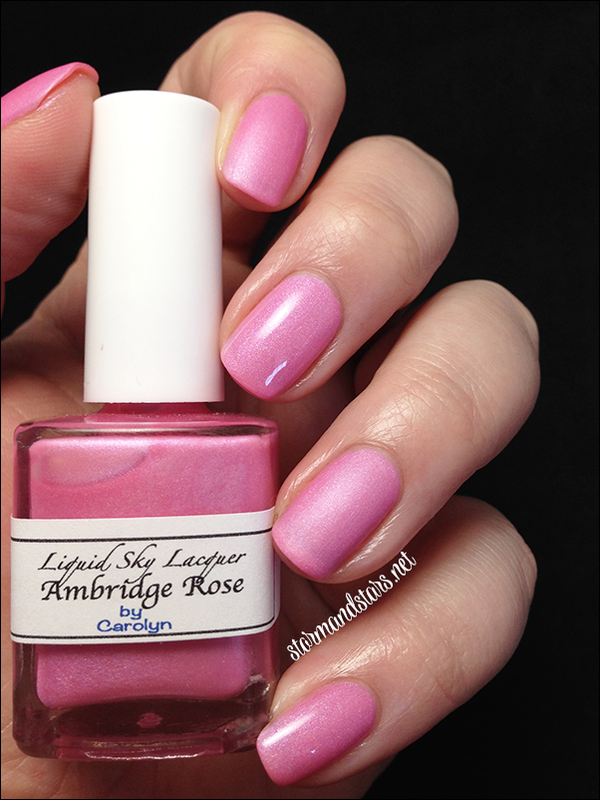 Next up is a perfect pastel pink, Ambridge Rose. 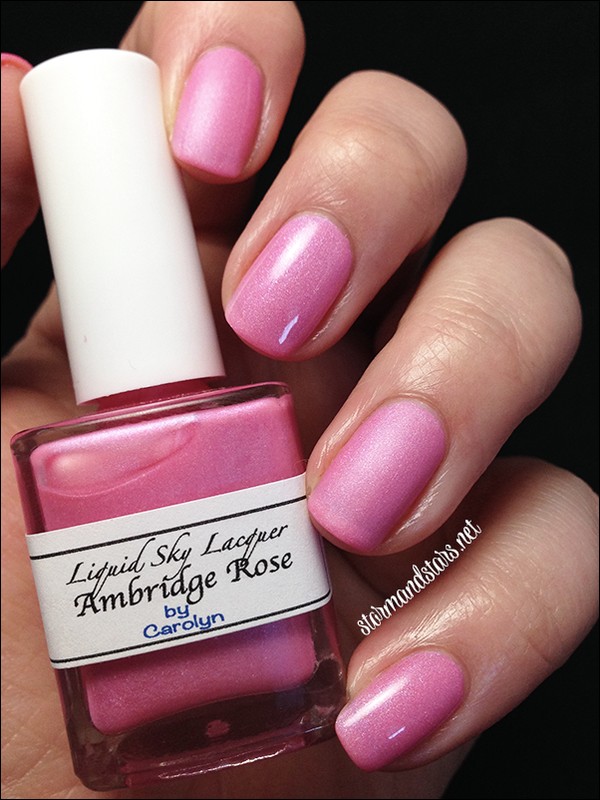 Ambridge Rose is a pale pink shimmer polish that dries to a smooth frosty matte finish. Once again, I love this color. 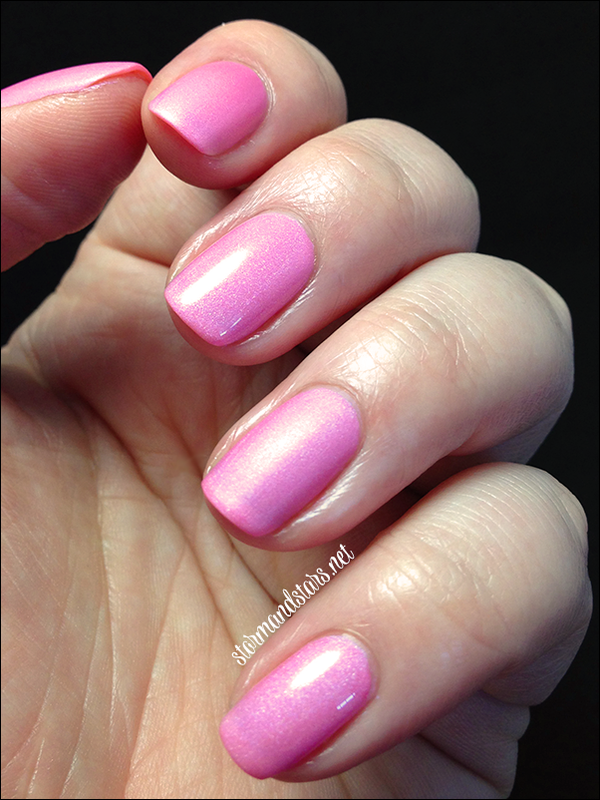 I layered three coats of Ambridge Rose over my basecoat for this look.I absolutely love the formula on this one, it practically paints itself. 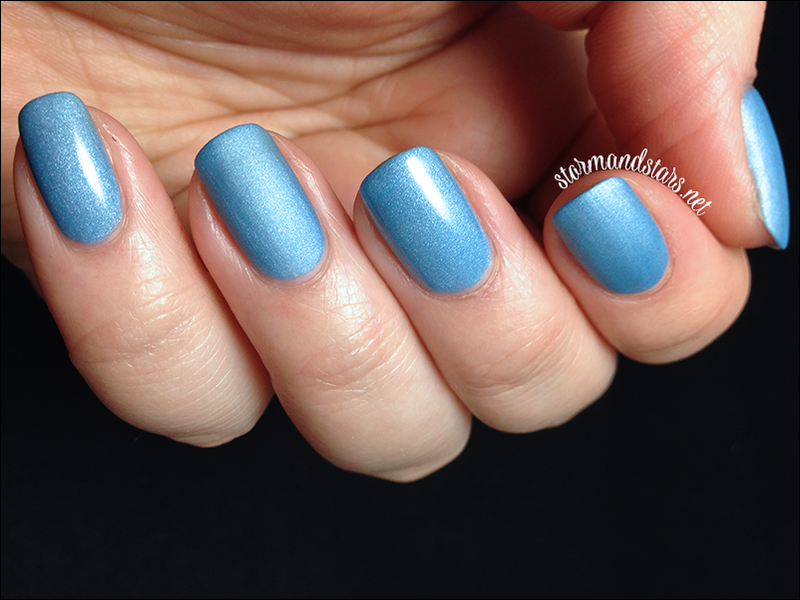 I added my favorite topcoat to my ring and pinkie nails to show you what the polish looks like shiny, and my thumb, index and ring fingers are without any topcoat. 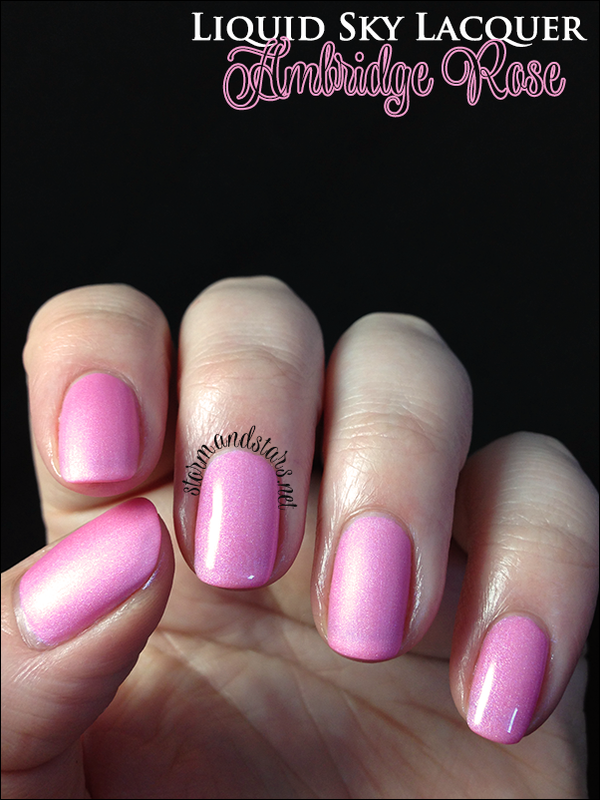 How gorgeous is this pink? Its such a soft color without being boring. I can see it working for all sorts of occasions. 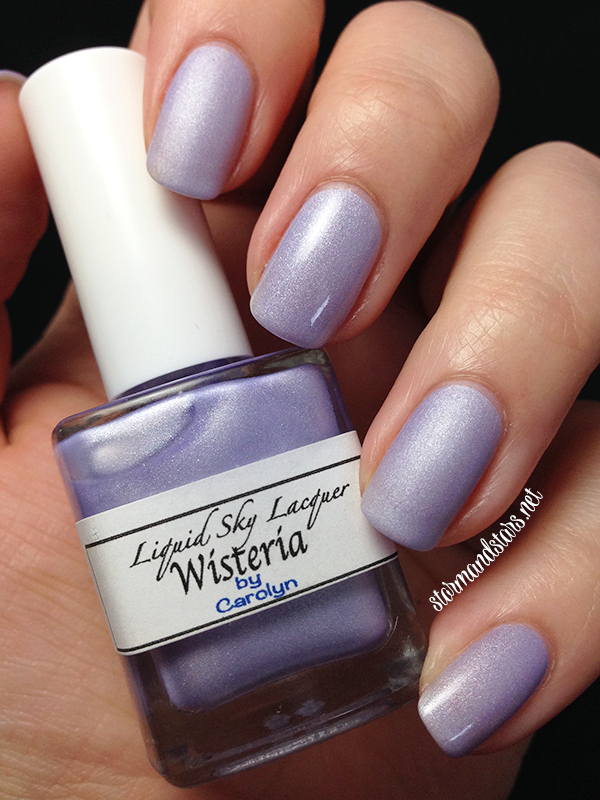 The next lacquer I have for you today is the beautiful purple Wisteria. 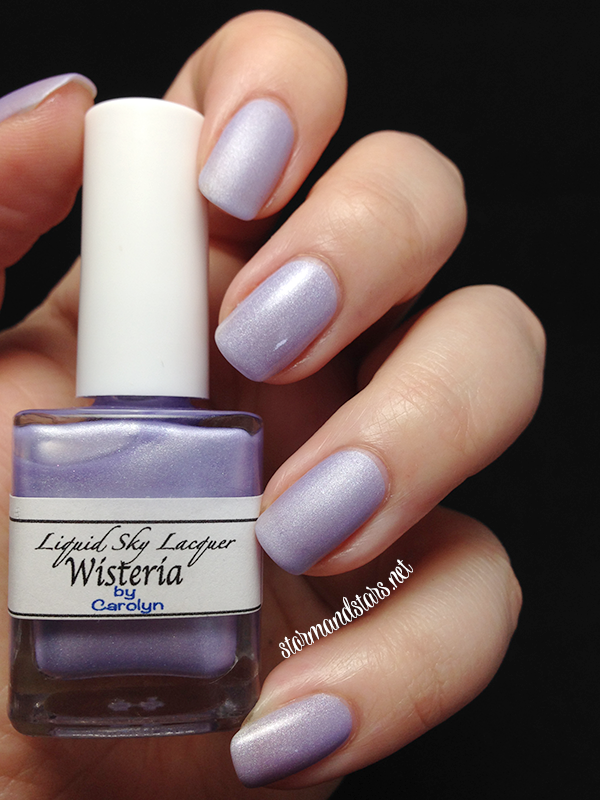 Wisteria is a very subdued frosty purple lacquer that dries to a perfectly smooth matte finish. 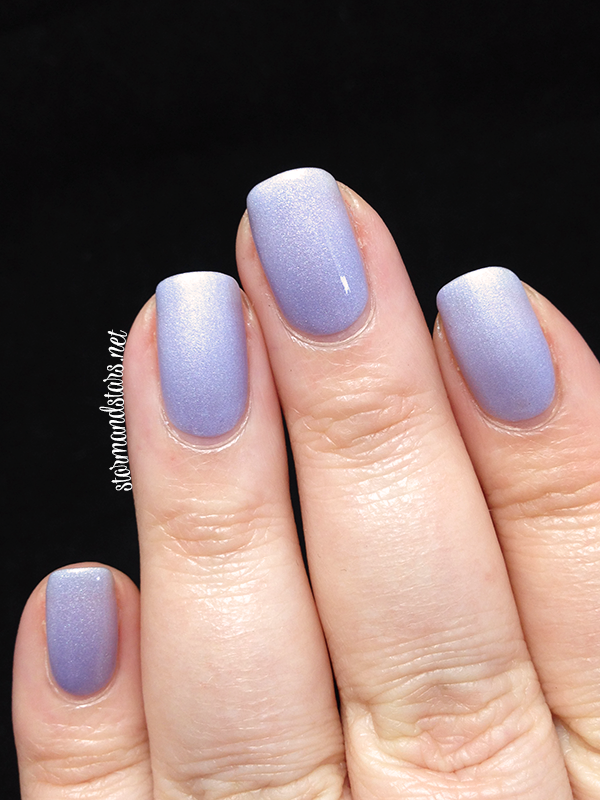 I used two coats of Wisteria over my basecoat for these photos. As usual, the formula was great and went on easy. 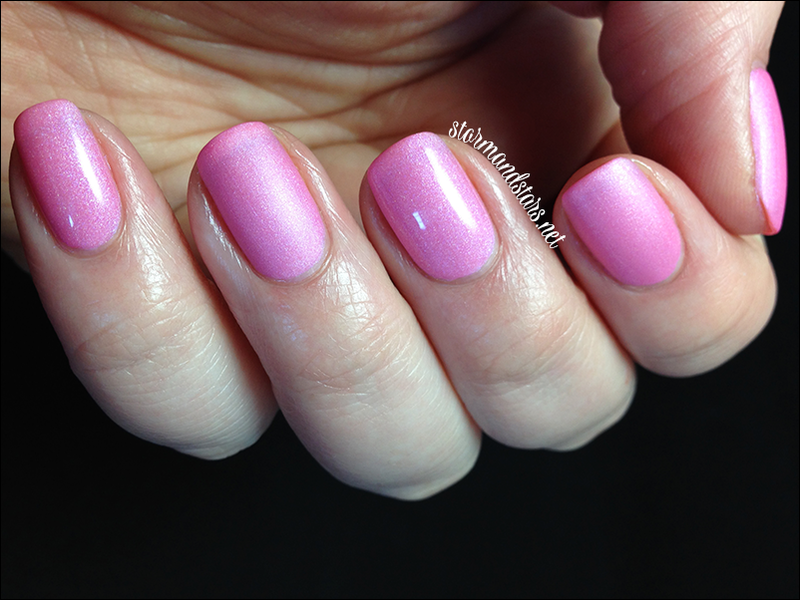 I added Seche Vite topcoat to my ring and pinkie nails to show you what the polish looks like shiny, and my thumb, index and ring fingers are without any topcoat. 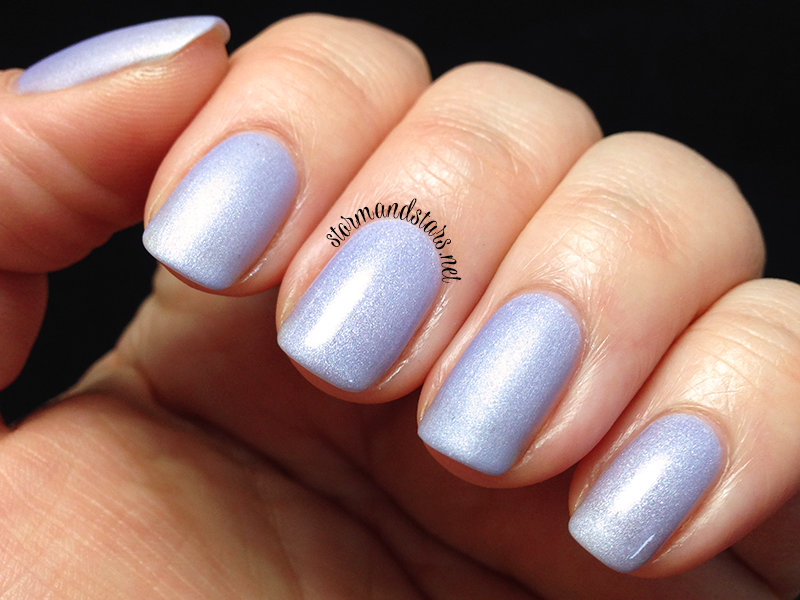 I LOVE LOVE LOVE this purple!! The tone and the saturation are perfect. Its almost silvery in some lights but just purple enough to be interesting. Everyone who likes purple needs this color. 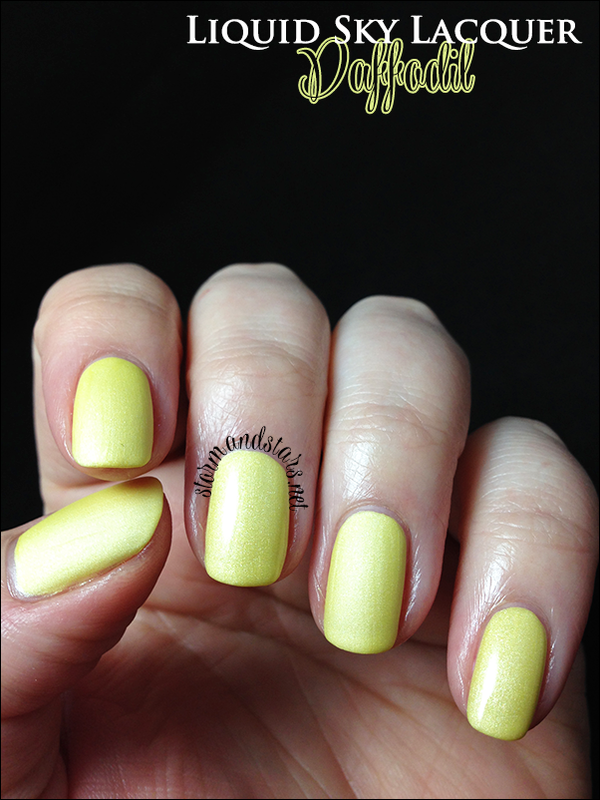 How about a bright cheery yellow? Here's Daffodil! 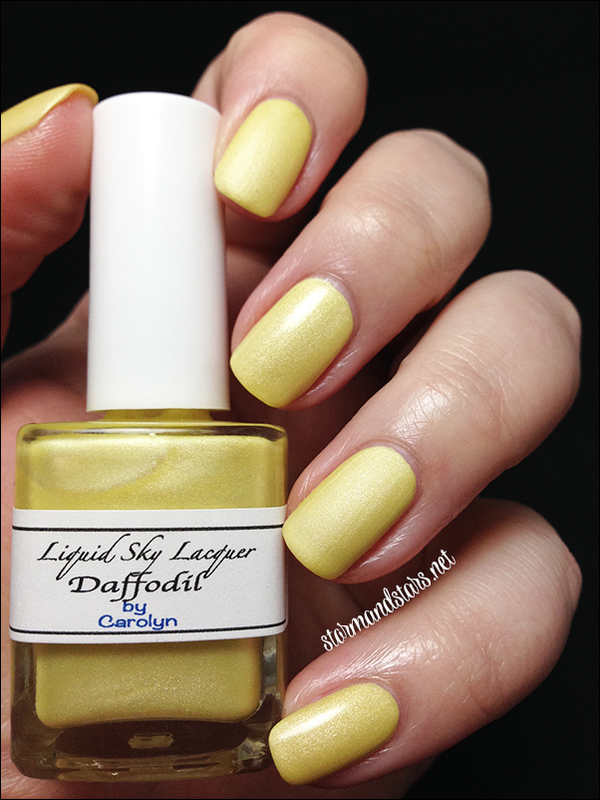 Daffodil is a sunny yellow pastel with a shimmer that dries completely matte and smooth. 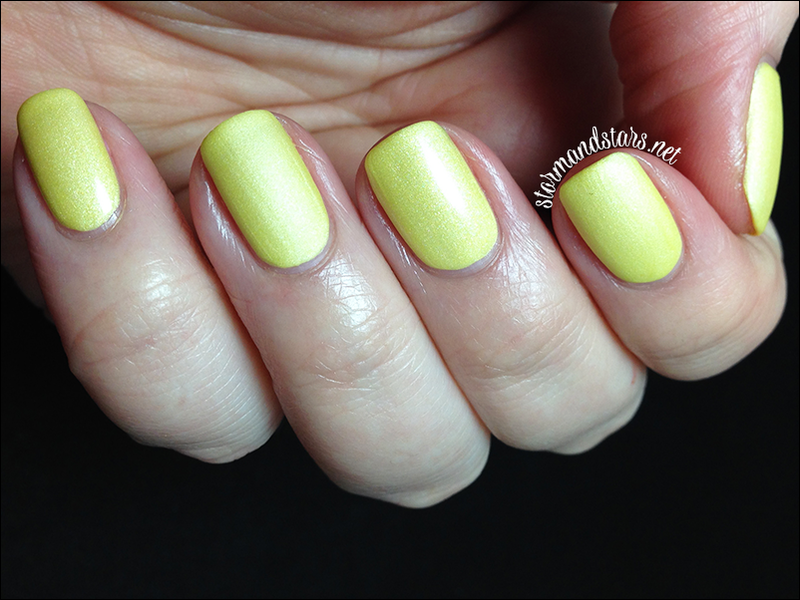 I used three coats of Daffodil for these swatches and though I had to use a little bit of a lighter hand for this color, for a yellow the formula is still tops. I probably could have done only two coats if it wasn't for photos. 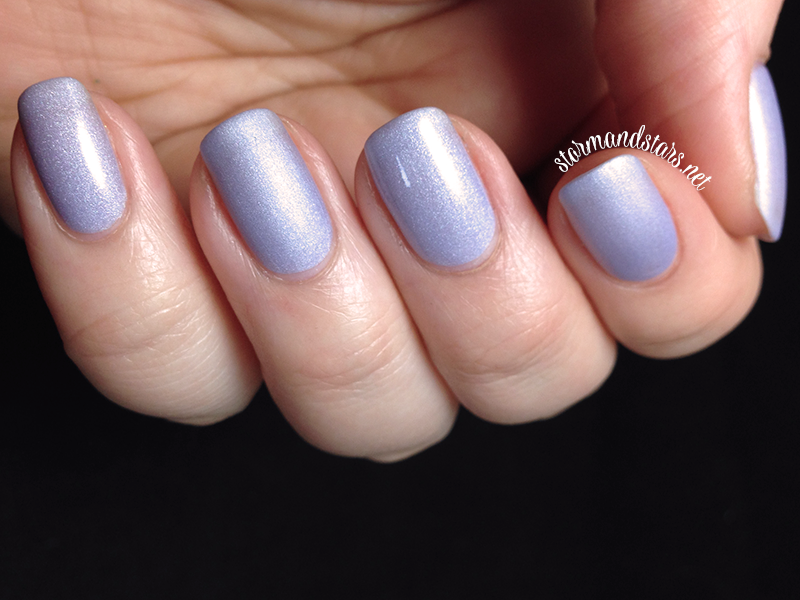 I added Seche Vite topcoat to my ring and pinkie nails to show you what the polish looks like shiny (although it really doesn't want to show itself in the photos), and my thumb, index and ring fingers are without any topcoat. 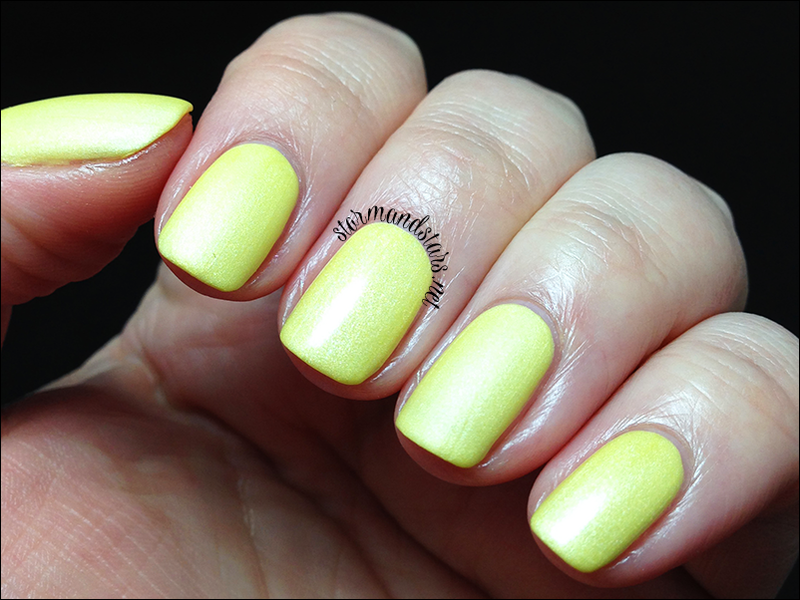 I'm not always a big fan of yellow, but this I love. It even looks great on my pale skin. Haha. Last but most definitely not least is my favorite lacquer of this collection. 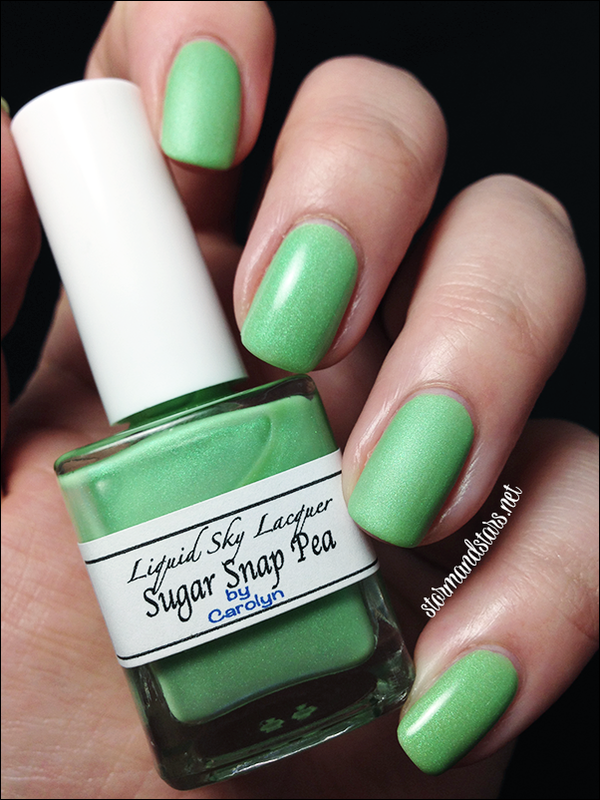 Here is the star of the show, Sugar Snap Pea. GAWD! Look at that shimmer!! 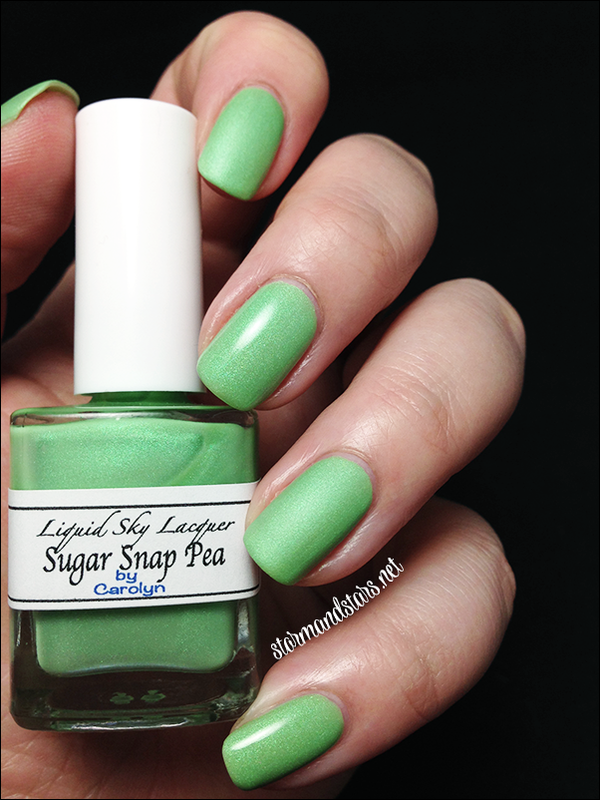 <3<3<3 Sugar Snap Pea is a stunning pale yet bright green lacquer with a shimmer that just has so much depth. 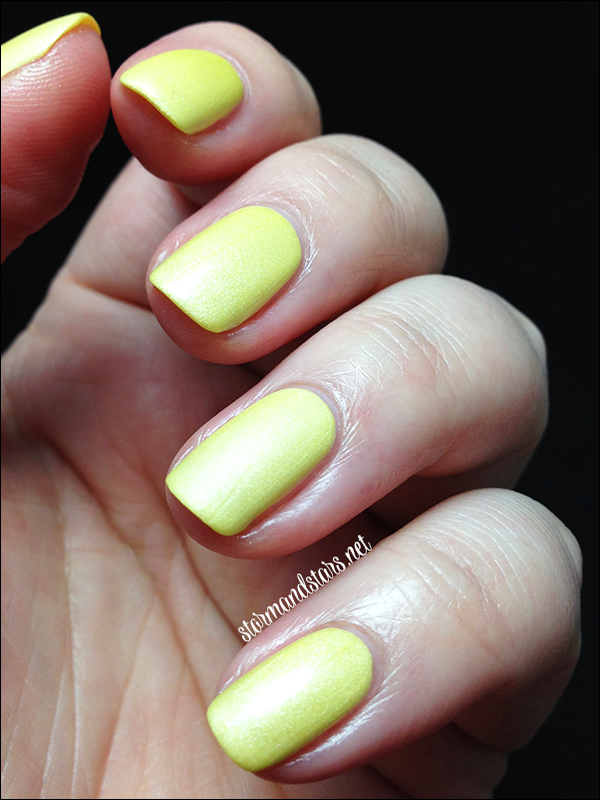 It dries to a matte finish, but I highly suggest trying this one with topcoat as well. 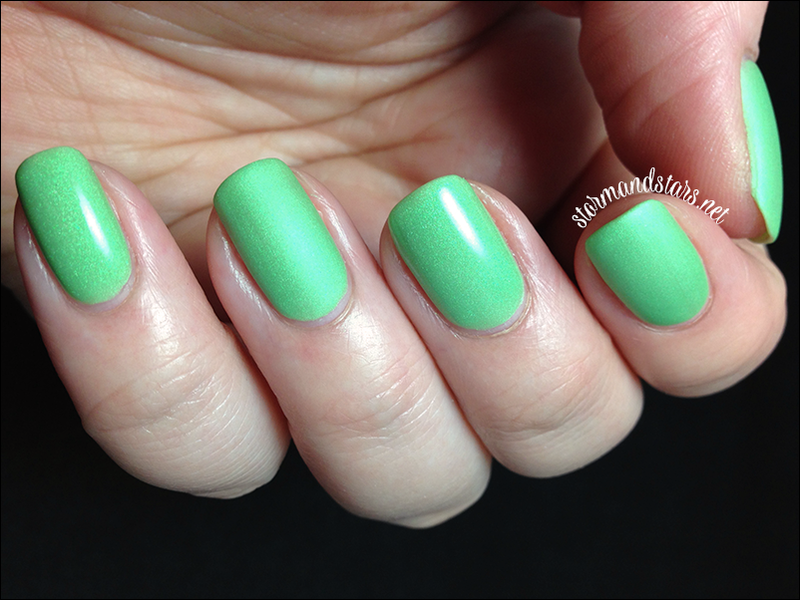 I used three coats of Sugar Snap Pea for this mani. The formula was simply superb. 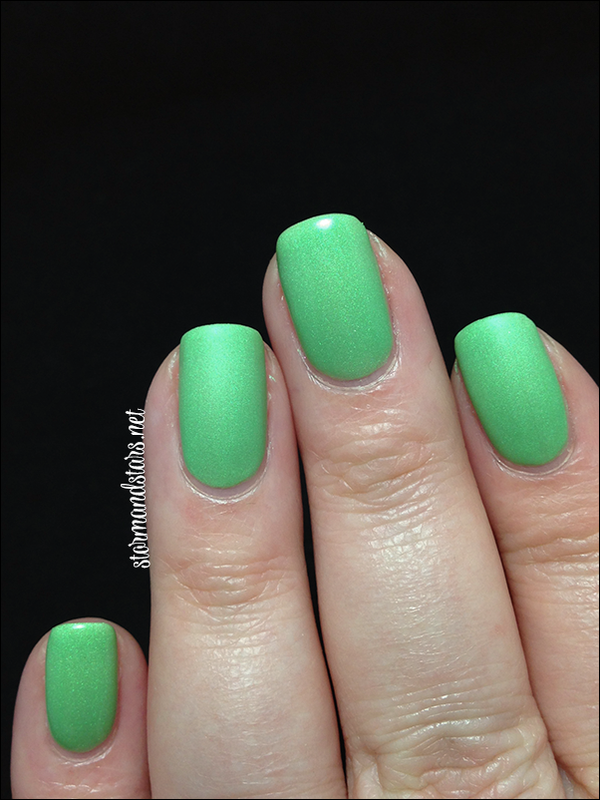 I really can't say enough about this lacquer. 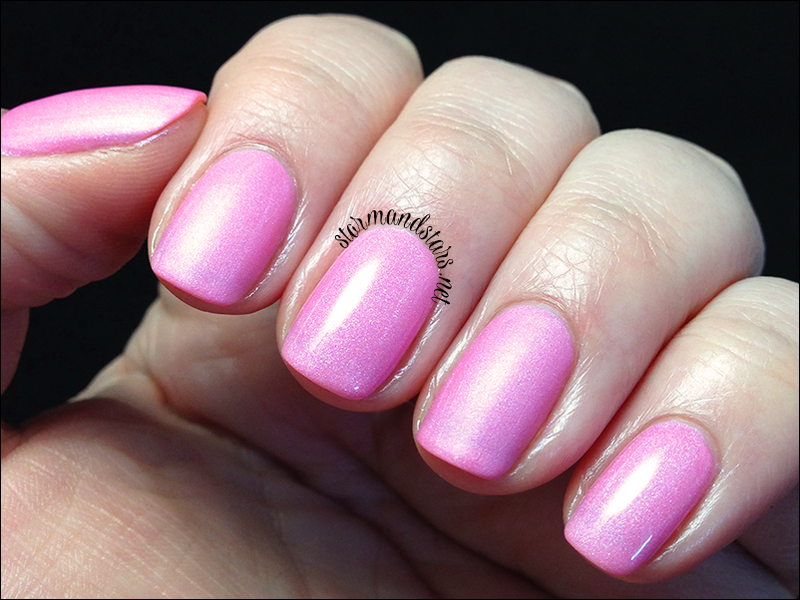 I added Seche Vite topcoat to my ring and pinkie nails to show you what the polish looks like shiny, and my thumb, index and ring fingers are without any topcoat. 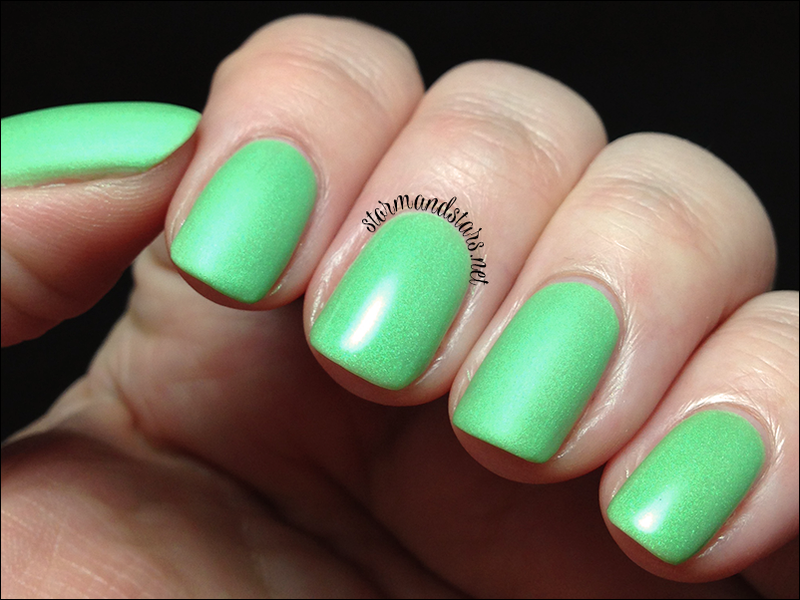 The topcoat on this green really gave it a completely new level of dimension. 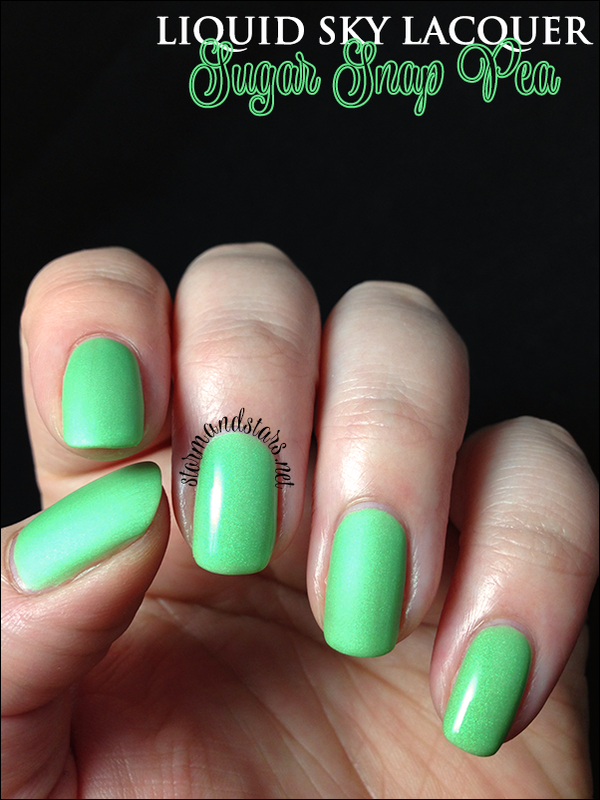 You can find the Spring Garden Collection and other Liquid Sky Lacquer shades in their shop. The shop is closed right now, but Carolyn will be opening it TOMORROW, Saturday, May 17th at 2:00PM Pacific Time. 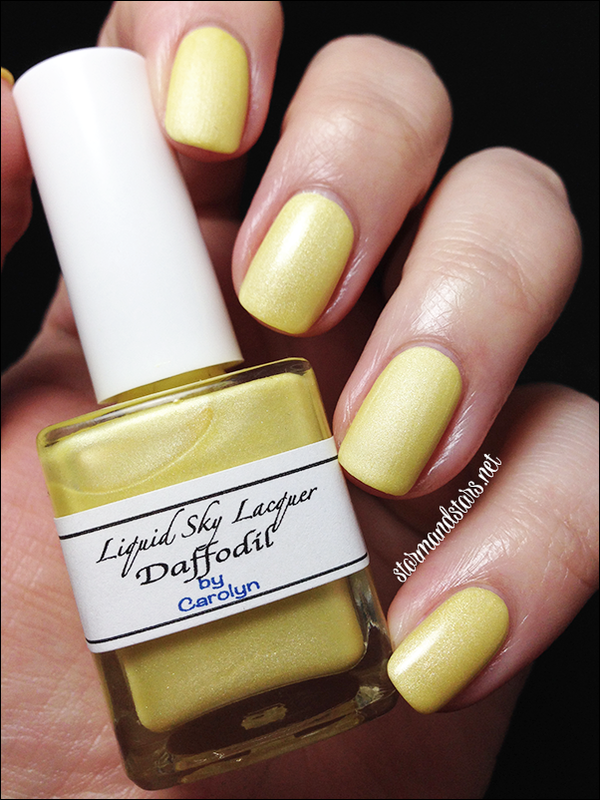 You can also follow Carolyn and Liquid Sky Lacquer on social media for news about sales and upcoming collections as well as restocks and more swatches. I really hope you enjoyed this collection! Have a lovely weekend! Morning Glory is so beautiful! In every description you wrote that you used a top coat on your ring finger, then in the same sentence you also say that your ring finger is WITHOUT a top coat. Which is it? I wouldn't mention it, except that you did this in EVERY DESCRIPTION.